Huisman’s LOC 400, successor to the LOC 250 introduced in 2005, is a containerized, 400-ton hookload rig. It is suitable for land, skid beams and offshore use and has a fully automated rig floor. Operators working in shallow resource plays, such as shallow oil, unconventional shale gas and coalbed methane (CBM), just can’t get enough of a good thing. At their request, rig manufacturers are expanding the operating and mobility features of the industry’s rigs to a new level of sophistication – the highly or ultra-mobile rig. 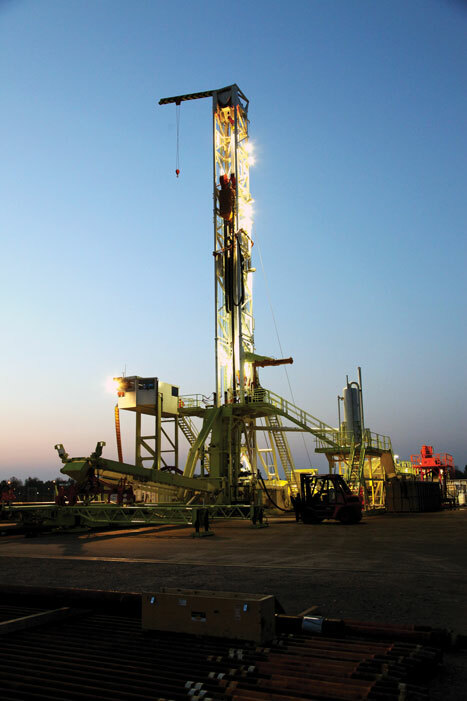 Highly mobile drilling rigs bring increased agility, automation, safety focus and cost savings, and are being used in deeper oil plays to perform top-hole work. Additionally, highly mobile rigs are carving niches for themselves in workover operations from offshore platforms, as well as geothermal applications. Mobile and highly mobile rigs are different from their predecessor, the heliportable rig, which is used to access locations where no infrastructure exists, such as Siberia and the Amazon region. 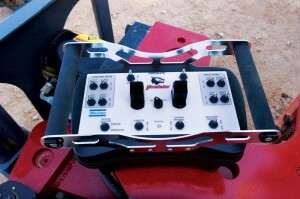 Heliportable rigs, which first appeared about 30 years ago, are capable of being broken down into a minimum number of loads, with each load weighing three tons, depending on the type of rig. “Ironically, the helirig concept has not evolved very much, I suppose due to low-volume demand for these units. 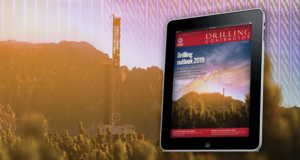 However, modular highly portable rigs have taken off, and the demand is very high for the foreseeable future,” Ray Pereira, vice president of North America sales for Drillmec, said. For the purpose of this article, highly or ultra-mobile rigs are defined as small or medium-size self-driving rigs with wheels, mounted on either a substructure or trailer, and quite often their substructure and mast are self-erecting. How is this different from mobile rigs? According to rig manufacturers, features such as a heightened ability to be broken down and reassembled and still retain full functionality, increased use of automation for added safety and operational ability, and a reduction in crew size all set highly mobile rigs apart from mobile rigs. “High mobility allows more wells to be drilled in a year,” he continued. Particularly for pad drilling in the shale plays, rigs must not only be able to skid or walk but also move quickly and safely to the next pad. “There is a stronger focus on self-erecting components in highly mobile designs, for instance slingshot-type substructure and self-elevating or self-erecting masts,” Thomas Janowski, sales manager for Herrenknecht Vertical, said. 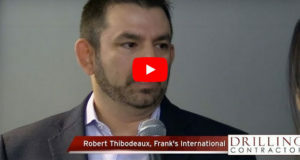 The advent of portable top drives, iron roughnecks, as well as casing-running tools, have added to efficiencies of highly mobile rigs, he noted. The Herrenknecht Vertical Terra Invader 250 rig incorporates a gearless hydraulic cylinder hoist system, which replaces the traditional drawworks system. The driller controls the hoisting system from the driller’s cabin using a joystick. The design and construction of these highly mobile rigs have become very sophisticated, as with the case of the Drillmec HH Series rig, where the main rig components, such as the mast and part of the drill floor, are fused to the specially designed trailer. This allows the top drive and iron roughneck to be transported without being removed from the mast. 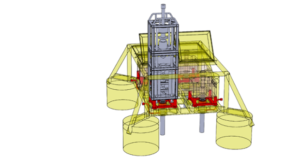 The trailer concept has improved the mobility of mud pumps, mud tanks, variable frequency drive houses and pipe bins for the automatic racking system. 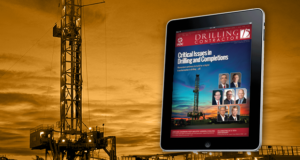 “A key limitation to current rigs is the available resources (people, trucks, etc) that enable the rig move. Location of the wells also plays a role and adds constraints, both geographic and regulatory,” Mr Quinlan said. Therefore, there is a major push to reduce load weights and dimensions of all modules that are required to erect a highly mobile rig on location while at the same time reducing the number of loads required to fully assemble the rig on site, according to Mr Pereira. 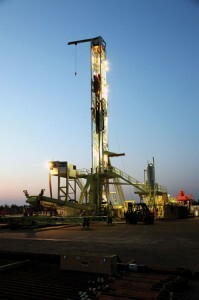 Equipment advances have brought challenges to highly mobile rig designs as well. “We are seeing a lot more wires and sensors being installed along with measurement equipment and video cameras,” Mr Quinlan remarked. According to Atlas Copco, mobile rigs got their start in the energy industry when operators started using water-well rigs to drill for oil and gas. 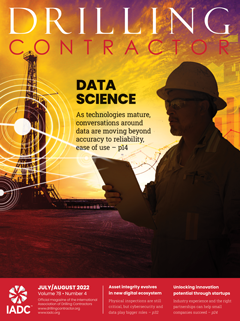 “The industry sort of evolved into using mobile rigs for oil and gas drilling rather than actually beginning at a definitive time. The Atlas Copco RD20 rig was borne out of the need for a mobile rig designed specifically for oil and gas drilling,” Alex Grant, well drilling product line manager for Atlas Copco, recalled. The rig was conceived from the T4 water-well rig and has received several technology upgrades since it was introduced in 1986. 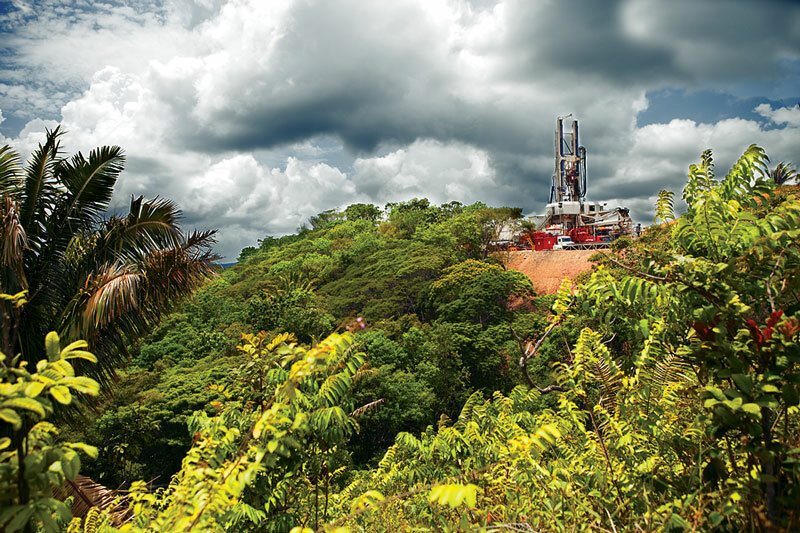 Two Herrenknecht Vertical Terra Invader 350 rigs with a slingshot substructure were manufactured for Petrobras and put to work in the Bahia region of northeastern Brazil. An area of only approximately 30 meters x 72 meters is required for the entire well site. The 120,000-lb hookload RD20 rig now has a sister rig, the highly mobile 200,000-lb hookload Predator, which took five years to develop and is just now finishing field trials. The first production unit is expected to begin work in September this year in a Texas shale play. Recognizing that more operators are performing directional drilling, Atlas Copco also added more pullback capacity to the Predator design. The RD20 rig had a pullback capacity of about 5,500 ft; the Predator has about 8,000 ft to 10,000 ft of pullback capacity. For Drillmec, the Drillmec HH Series rig saw its evolution from a simple hydraulic rig for water wells upgraded to oil well standards in 1990. 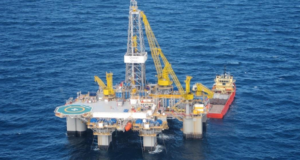 The first built-for-purpose HH rig was delivered to Eni in 1994. 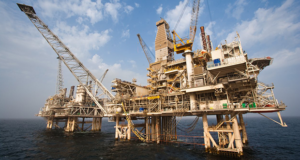 Since then, each generation of the rig has been improved to include enhanced automatic controls for the pipe handler using programmable logic controllers (PLCs) and advances to the hoisting and hydraulic systems. The latest generations include joystick controls and cyber control touchscreen features. The company offers up to 375-ton HH Series rigs for land applications and up to 600-ton rigs for offshore platforms. Also on the HH Series rig, the vertical pipe-racking system is assembled in a semi-circular array around the rig floor to contribute to quick rig-up and rig-down. Further, containers can be transported and handled full of drill pipe to save time and to reduce risks associated with pipe handling. Mobile rigs have undergone many improvements since they came into being in the late 1980s and early 1990s. 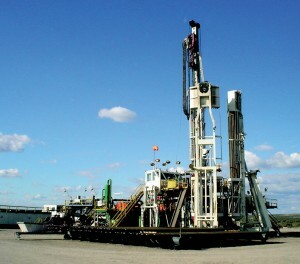 These rigs, such as this Drillmec HH Series rig, have now evolved to a level of sophistication known as highly mobile. Safety has become a paramount driver alongside economics for highly mobile rigs. “Try to remove personnel from unsafe areas is what we’ve done,” Atlas Copco’s Mr Grant said. “From a mechanical standpoint to achieve safety, we’re getting into more computer-controlled systems, such as a wireless pipe-handling system where the operator can stand away from the whole operation, observe from a distance and still control the unit. We’re bringing computers more into it. It’s the same with the driller; with the use of electronics, we’re able to stand away from the drill table, stand back in the doghouse even and operate the rig from back there, out of the area where injuries typically occur,” Mr Grant said. The Atlas Copco RD20 rig now also has pipe-handling capabilities for a safer working environment. The LOC 250, Huisman’s first highly mobile rig, is a containerized rig, meaning that all elements of the rig fit into standard ISO containers, and has casing-while-drilling capabilities. Since introducing the LOC 250 in 2005, the company has upgraded its design to include AC drive, a higher hookload and an expanded mud system, and the LOC 400 was introduced in 2009. 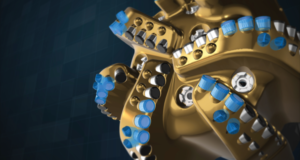 The next generation of the LOC 400, to be introduced in late 2012 or early 2013, will feature a higher level of automation, even quicker rig moves and enhanced skidding capabilities. “We’re conducting a study on rig moves, finding the weak links and engineering the process to improve it, and preparing recommendations for field personnel to accomplish rig moves quicker,” Mr Quinlan said. The Atlas Copco Predator rig handles a piece of casing with the automated pipe-handling tool. The pipe-handling element of the rig design is a key safety feature. “With the latest Atlas Copco rig, the Predator, we’ve got it down to the minimum amount where we can have three people operating a rig as opposed to the six or seven people that would be on a conventional rig,” Mr Grant said. With Herrenknecht Vertical’s Terra Invader rig, only two people are involved in tripping pipe in and out. The rig came onto the work scene in a geothermal application in Germany in 2006, just one year after the company was established. This rig, which has a box-on-box substructure, is tailored to the Western European market, where cranes are readily available. 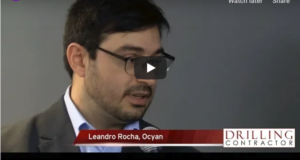 “There has always been a demand for high mobility in this industry, but the higher the costs are for drilling and transportation, the higher the demand to make the equipment more mobile than before,” Mr Janowski noted. 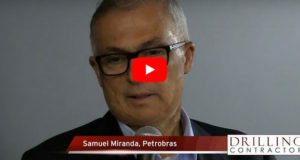 According to him, exploration drilling in remote places, on artificial islands, in the Brazilian Amazonas region and in Siberia has prompted the increased demand for highly mobile units. Crane and truck load capacities are limited. Cost levels are quite high, and the need to reduce crew cost is an issue. 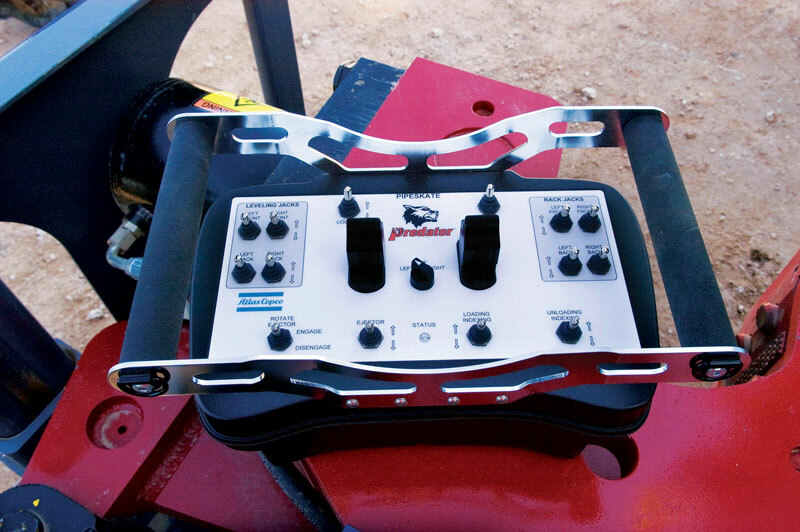 The fully electronic driller’s console on the Atlas Copco Predator rig makes it possible for the driller to operate the rig from as far back as the doghouse, if required. 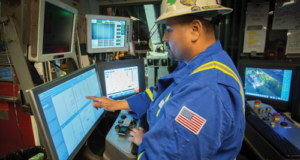 To enhance safety, rig manufacturers continue to move toward more computer-controlled systems, such as wireless pipe-handling systems where the operator can stand away from the operation. 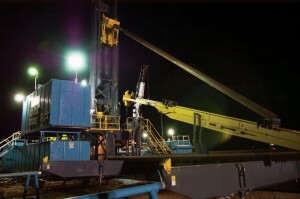 Rig manufacturers believe there is savings to be realized from use of a highly mobile rig to drill the top-hole section when an operator is targeting deeper reserves. The conventional rig doesn’t need to stay on-site as long. There’s also savings to be realized from reducing nonproductive time. According to Drillmec, one of its expanded rig capabilities as a result of the design was for the rig to become an integral part of the substructure. 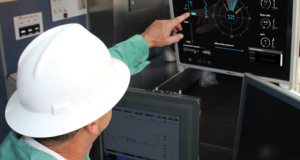 “We figured, wouldn’t it be great if you could run the hydraulics of the substructure from the rig itself and offer connections on the substructure to quickly connect an air or mud pump system and reduce the downtime for setup,” Mr Grant said. “The other part was to have the pipe-handling on the back of that.” The Drillmec rigs have the main rig components fused to the specially designed trailer. 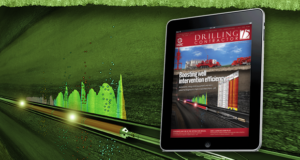 Highly mobile rigs are meeting diverse global drilling requirements as well. 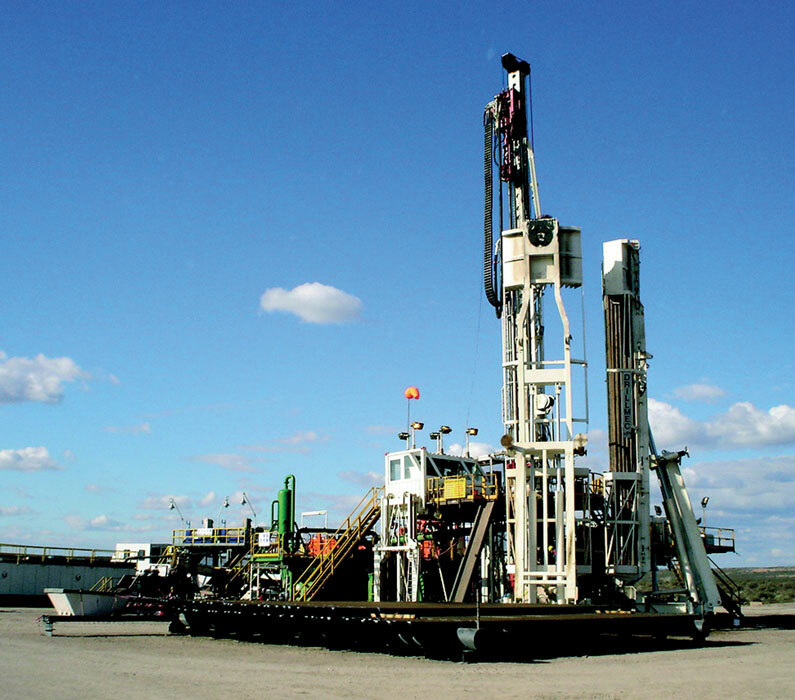 Drillmec’s HH Series rigs are currently operating in shale plays in North America, in the deserts of Egypt and the Middle East, in remote locations in Peru, Colombia, Venezuela and Australia, as well as in geothermal projects in Iceland and Chile. Further, the company recently announced the sale of 25 hydraulic rigs, with an option for an additional 125 rigs, to Chinese drilling company Greka Drilling. The units will work in CBM and shale-gas applications in China’s Shanxi Province. 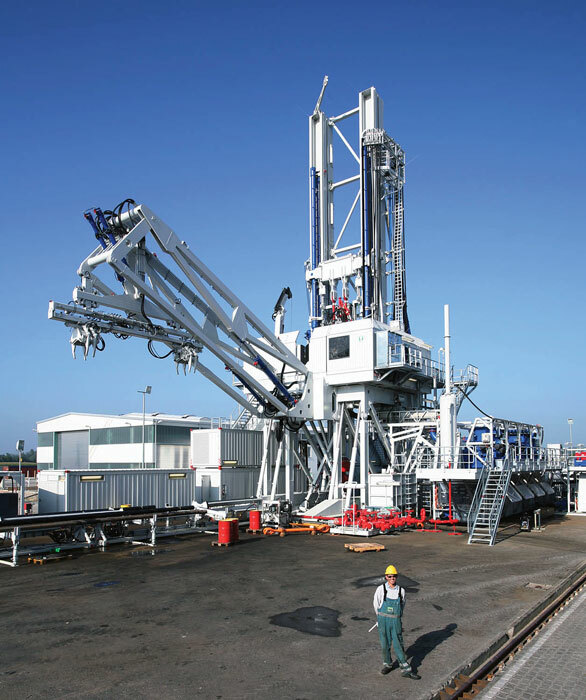 Huisman’s LOC rigs have drilled oil, gas and geothermal wells in the US and Europe. Although the LOC rigs were designed for onshore drilling, the company has developed a concept and performed basic engineering on a LOC rig for offshore application. “We have worked on a very interesting concept for using our LOC rig as a modular platform rig with a unique installation procedure onto the platform. 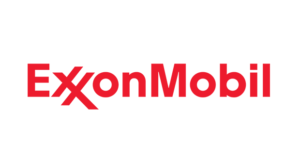 This solution would see platform installation in a few days as compared with the several weeks required for similar modular rigs,” Mr Quinlan said. 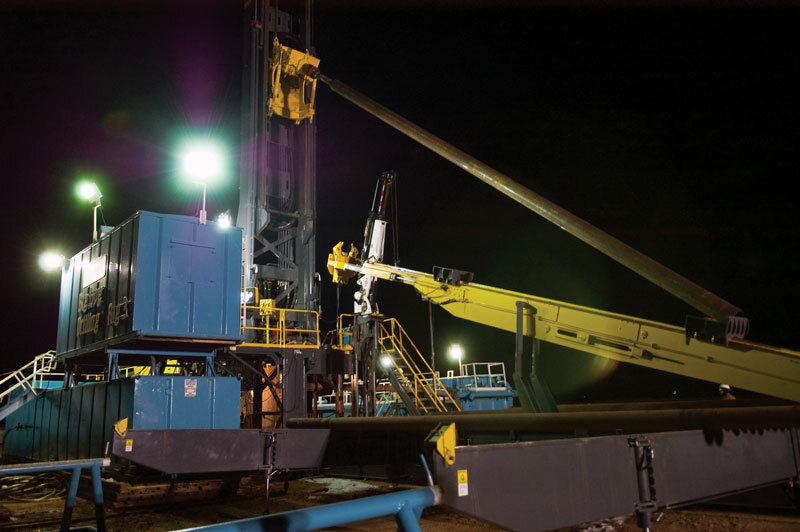 In addition to shallow-resource development, Atlas Copco has found success using its highly mobile units to do top-hole drilling and set the casing so that conventional double or triple rigs can go in later to drill the deeper sections. As operators expand their search for resources across the globe, rig manufacturers are keeping pace, delivering innovations in operation and transportability. With more advances already on the drawing board, rig manufacturers are confident that the next generation of highly mobile rigs will continue to meet operator expectations. I ampetroleum and gas teacher. I’d like to receive material free of charge, because here in Brazil is very scarce. Josafa. Receive catalogs and news letters.